ALL PLAYERS receive a welcoming gift. Numerous Player of The Game Awards for both teams every game. 1st Place Teams receive awards, team trophy & Championship Team picture on www.barrieaaazone.ca & www.weekendhockey.com websites. 2nd Place Teams receive awards. Official hotels are 10 minutes from all arenas. Take your team & WATCH the OHL Barrie Colts Saturday night! Barrie Molson Centre within 10 minutes of your hotel! BEST OF THE BEST TOURNAMENT! Sign up early to guarantee your team a spot! Over 100 teams register every year! Official hotels are 10-15 minutes from all arenas. or Georgetown Raiders Jr A games within 10-15 minutes of your hotel! This Tournament is for A and AA teams only. Welcome to the Quest For The Cup Spring Hockey Tournament in Stoney Creek, Ontario. The Premier Hockey Event in the region! This tournament is open to all AAA, AA, A, AE/MD, Select teams. Walk from Nottawasaga Resort to Centre Ice Sportsplex! Big Bear Tournaments - Washington, D.C.
On behalf of TCS Hockey, we invite teams to our Boston Memorial Cup. This will be played at the Warrior Ice Arena - Bruins practice facility! Your team is invited to our Buffalo Winter Classic Cup this November 29th-December 1st, 2019. Riverworks, The Healthy Zone, Harborcenter, & Northtown Center will be the host rinks to this unique event. Some of the best venues around the country - to give you and your team the best and the most unique experience possible. Canadian Hockey Enterprises (CHE Hockey) is celebrating its 32 Great Years with 18 locations and over 40 dates for tournaments. The Leader in Men's and Women's tournaments with international hockey plus meals, accommodations, parties, banquets, professional staff, and more. Four North American offices to serve you include Lake Placid, New York, Peterborough, Ontario, Kelowna, BC and Mont-Tremblant, Quebec. Visit our website for dates and details on the Men's tournaments. Canadian Hockey Enterprises (CHE Hockey) offers 14 dates for Youth tournaments. These first class tournaments offer international hockey plus meals, accommodations, skill competitions, professional staff and more. Sanctioned tournaments for USA Hockey teams and Hockey Canada teams. Play at a newer rink in Montreal and Quebec City and the famous Olympic Center “Home of the Miracle on Ice” in Lake Placid. Plus new for this year is the “Ottawa River Cup” taking place in Gatineau, Quebec and Ottawa, Ontario. Visit our website for dates and details. Divisions: Mite/Novice, Squirt/Atom, Peewee, Bantam, Midget and High School. Levels: AA, A, B, Town and Select levels. Canadian Hockey Enterprises (CHE Hockey) is celebrating its 32nd Great Year with 9 locations for Women’s tournaments. The Leaders in Women’s tournaments with international hockey plus meals, accommodations, parties, banquets, professional staff and more. Four North American offices to serve you include Lake Placid, New York, Peterborough, Ontario, Kelowna, BC and Mont-Tremblant, Quebec. Visit our website for dates and details on the Women’s tournaments. Divisions: Open to all women 19 and older. Separate divisions. 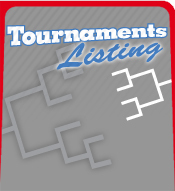 All MYHockey Tournaments events include a four game minimum. Team placement and divisions are based on rankings and ratings at www.myhockeyrankings.com, which provides the best possible competition for teams at all levels. divisions are based on rankings and ratings at www.myhockeyrankings.com, which provides the best possible competition for teams at all levels. best possible competition for teams at all levels.